The average delivery time for a unlock code is 1 day. Your Blackberry 9700 is simple to unlock. By purchasing an unlock code with us you can be free of operator imposed restrictions as easy as entering digits into your handset You will achieve a the ability to utilize any SIM card from any carrier. 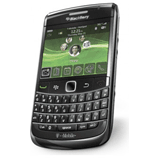 Unlocking your Blackberry 9700 enables you to utilize the SIM car of your choice and that permits you to take full advantage of using favorable rates from rival carriers. 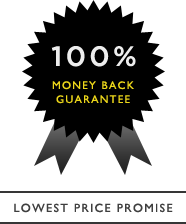 As with all our offers at Unlocking.com the unlocking of a Blackberry 9700 is 100% guaranteed. We promise that your mobile phone will be unlocked or you get your money back. We also guarantee that your handset will incur no damage during the unlock process. When traveling out of country, you can buy and use SIM cards from there allowing you to use the local networks. If you decide to unlock your Blackberry 9700 it will be more desirable should you decide to sell it. It isn't difficult to unlock a Blackberry 9700 mobile phone by typing an unlock code.